''BUTTERFLY STREAM'' Historic Farmhouse established in 1888 & located in the Navesink section of Middletown. Enjoy the specimen plantings & calming stream from your own backyard. Entertain on the enormous wood deck overlooking the flowers & stream. 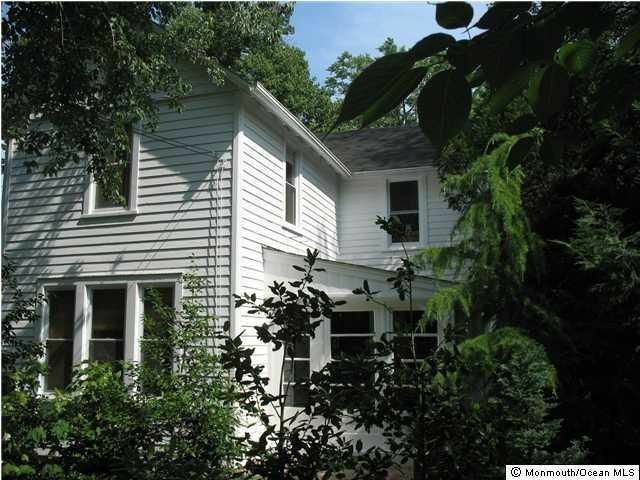 Bonus sunroom or glass enclosed rocking chair porch & front deck. Custom details, wood floors & soaring ceilings. Full walk-out basement with built-ins. Live the good life located steps from Harshorne Woods Park & minutes to NYC hi-speed ferry, bus line, shops, restaurants, parks, marinas, hiking & biking trails & Sandy Hook National Park. Unbelievable deep lot setting for your very own beach house! Atlantic Highlands mailing address.